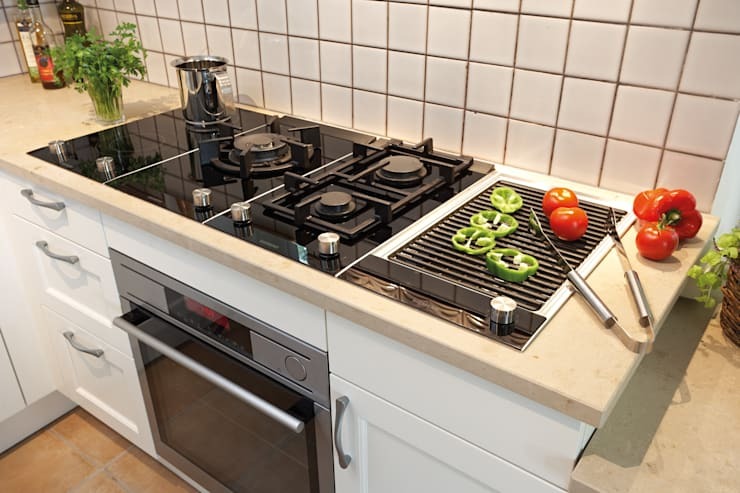 The kitchen benchtop or countertop is easily the most overlooked feature in a kitchen. It covers quite a large visual area in a kitchen so a new kitchen countertop is a very worthy investment. Laminated plywood kitchen benches are definitely out. If you have the cash invest in a new wood or stone countertop. A good quality protective layer will ensure it stylishly endures years and years of wear and tear. 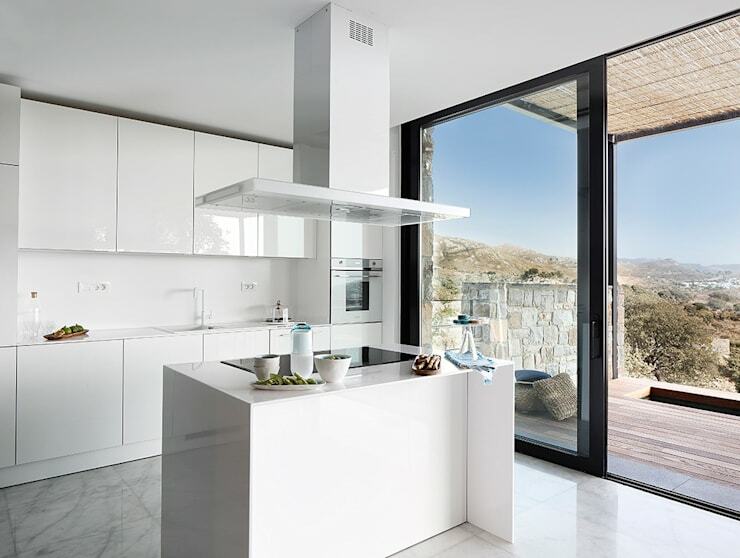 Highly polished ceramic surfaces give the kitchen an instant modern gleam. Choose a neutral colour for a slick contemporary finish that you don't often see in older kitchens. 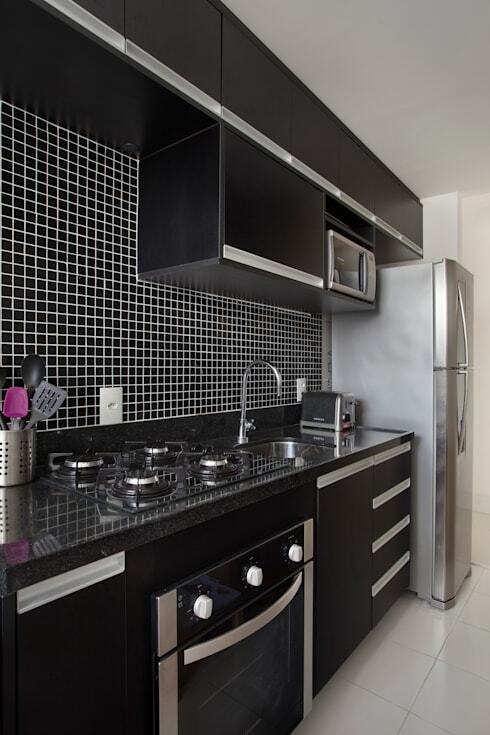 Stainless steel appliances are very popular at the moment. 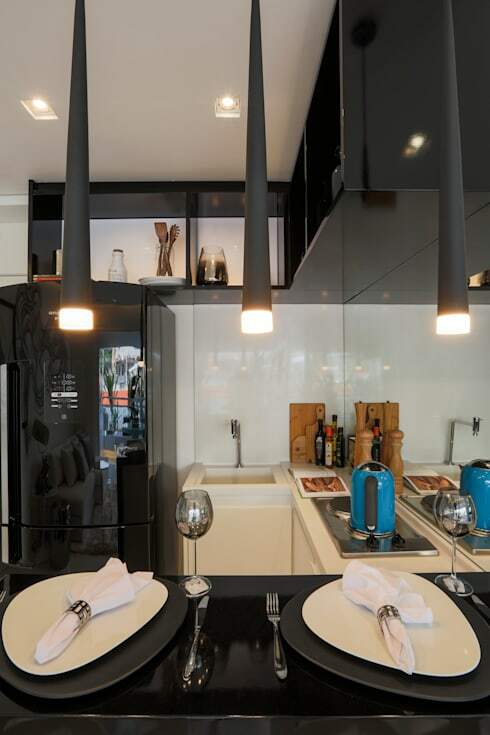 They instantly give a kitchen a fresh modern industrial-style look. They are almost universal in professional kitchens because they are easy to clean and always look good. 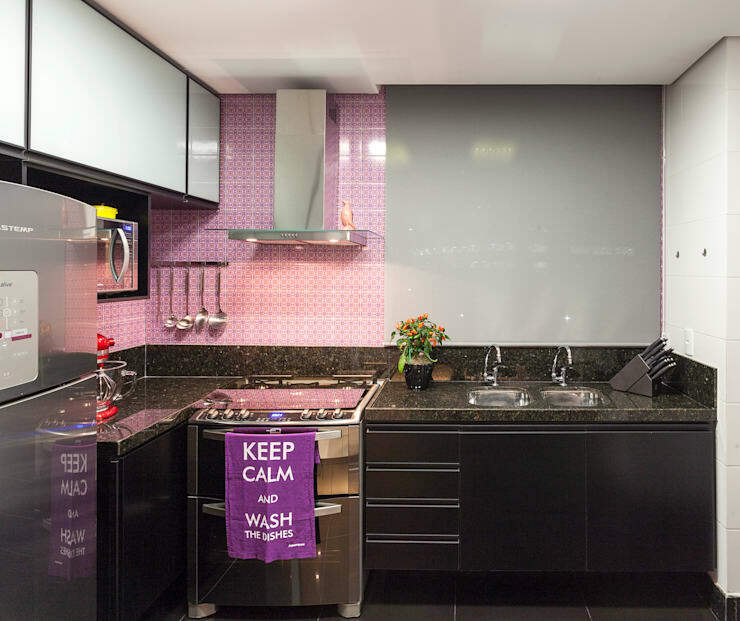 A glossy bold splashback could easily be mounted over old tiles. It's generally just below eye-level so it will have a big impact on the look and feel of the kitchen. Choose a glass design for a slick effect. 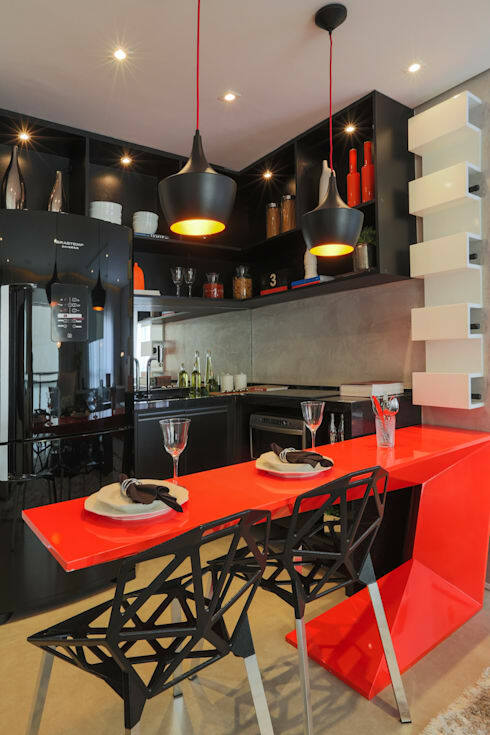 Modern kitchens are social affairs and this means they often face outwards towards the living areas. A kitchen island is an easy way to freshen the look. It could even take the form of a portable unit on wheels. An old kitchen can be completely made over in just an afternoon. All you need to do is swap out the cupboard doors for new ones. Most of the fittings are generic so you should be able to avoid any time consuming drilling or fittings. 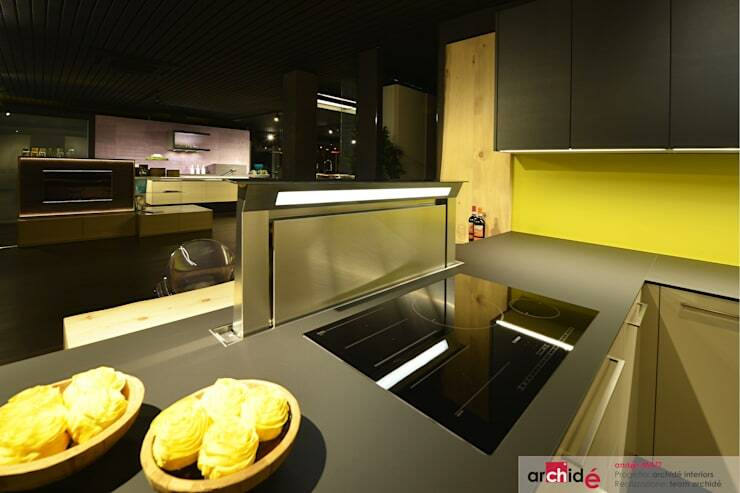 A truly modern kitchen has a cutting edge quality about it. Don't be afraid to experiment with unconventional colours. 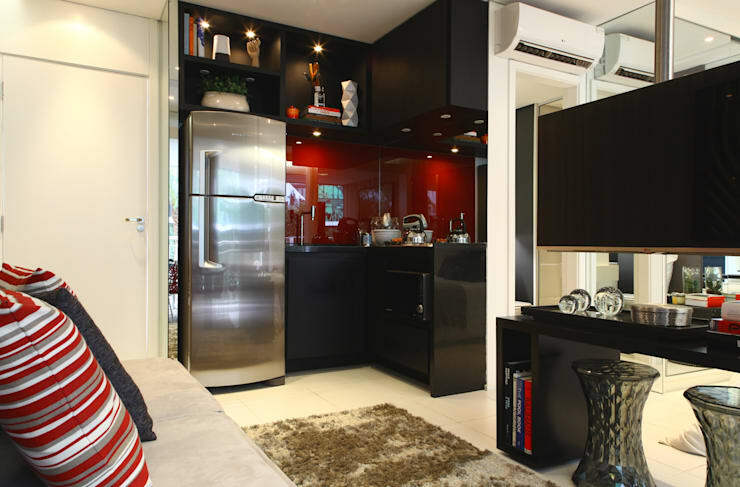 Perhaps you might indulge in a sophisticated black decor or even use a combination of differently coloured cupboard doors. Kitchen design has come a long way in recent years. These days there are lots of convenient features that are particularly useful for those with small kitchen. Just check out this pop out range hood for example! Modern homes are better sealed than ever before. But this means that mould and damp issues are a growing concern. Invest in a good quality range hood. A stainless steel unit design is often quite modern and striking. 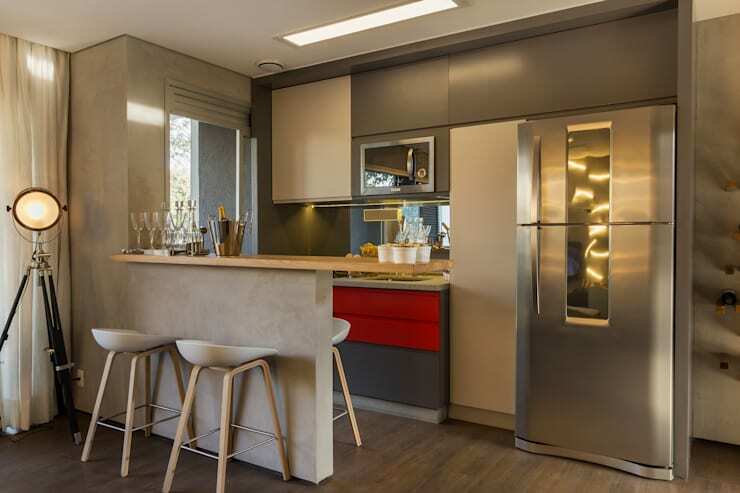 One of the simplest and easiest ways to modernise your home is to add more convenient features such as a fold-out benchtop. 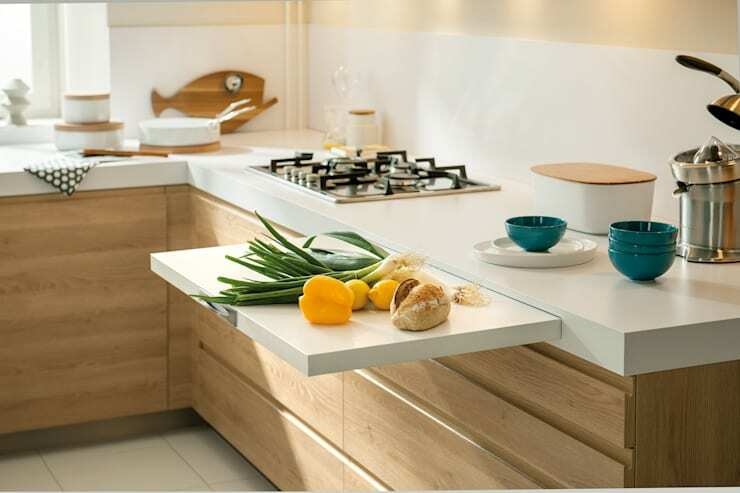 It could be easily fitted onto an existing countertop and could even be finished in a new jazzy colour. Foodie culture has led many of us to invest in a huge range of specialised kitchen utensils. This leads to the question of where to store all these new products. 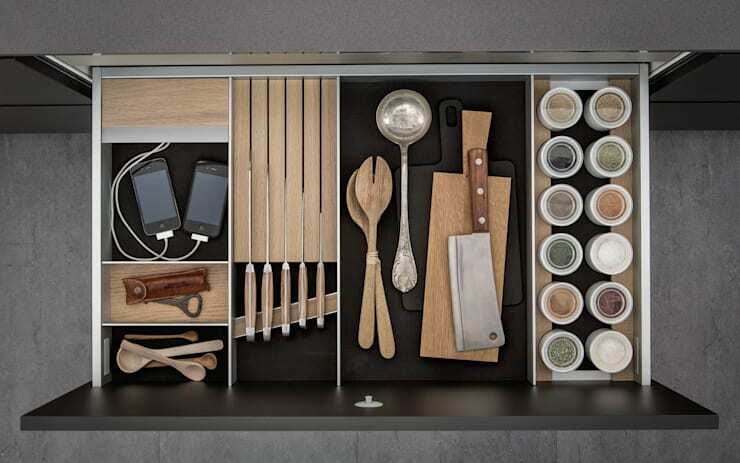 Older kitchen utensil drawers rarely have the configuration of storage cabinets you'll need. Just get a quick slip in storage unit to update the look. Older kitchens were often furnished with materials that emit harmful toxins. Do your research and choose materials that are far friendlier for the indoor climate. Your body will thank you for it later! As mentioned earlier, kitchens are no longer strictly utilitarian affairs. 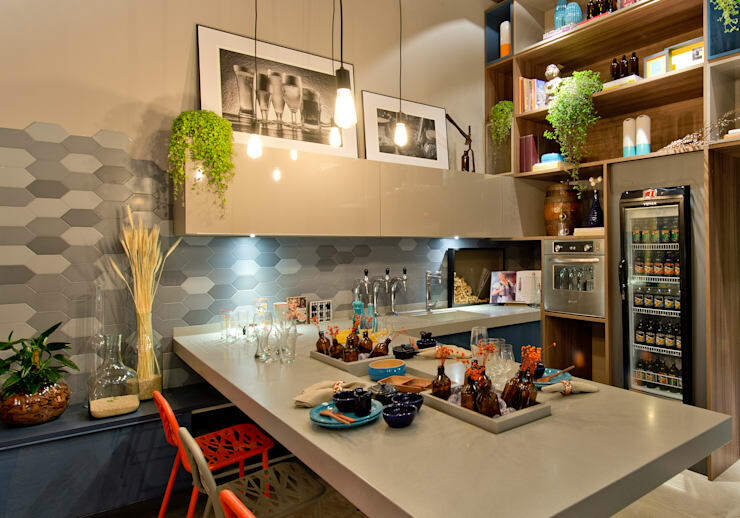 They are social hubs these days so a modern kitchen needs a more friendly, cosy ambiance. Update the light fittings to suit all social occasions. 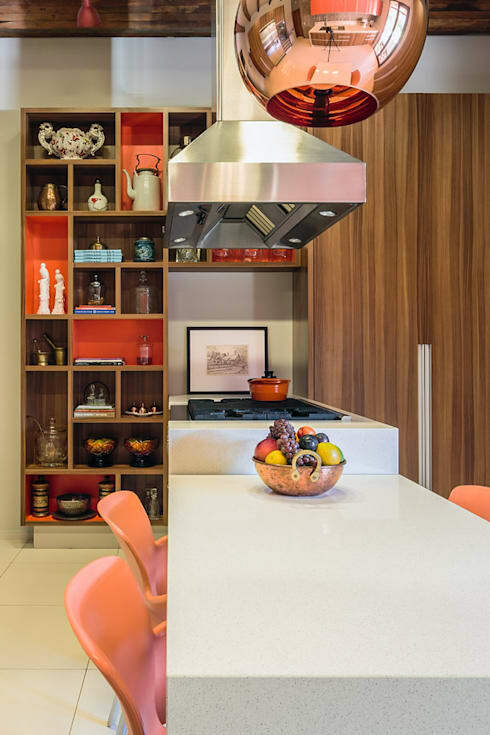 A modern kitchen isn't really a sociable space unless it has some decorative touches. In this sense, it helps to think of your kitchen decor as you might a living room. So update the lampshades an add some decorative touches. For more home inspiration, have a look at 9 modern yet traditional homes you'll love. If you have any more tips on how to upgrade your kitchen, share them here!